The Department of Veterans Affairs in Phoenix, where the VA's inspector general says numerous problems with scheduling practices were uncovered. The inspector general of the Department of Veterans Affairs has affirmed that some 1,700 patients at the Phoenix VA hospital were put on unofficial wait lists and subjected to treatment delays of up to 115 days. In an interim report released Wednesday, the inspector general's office reported it had "substantiated that significant delays in access to care negatively impacted the quality of care" at Phoenix HCS. "To date, our work has substantiated serious conditions at the Phoenix HCS. 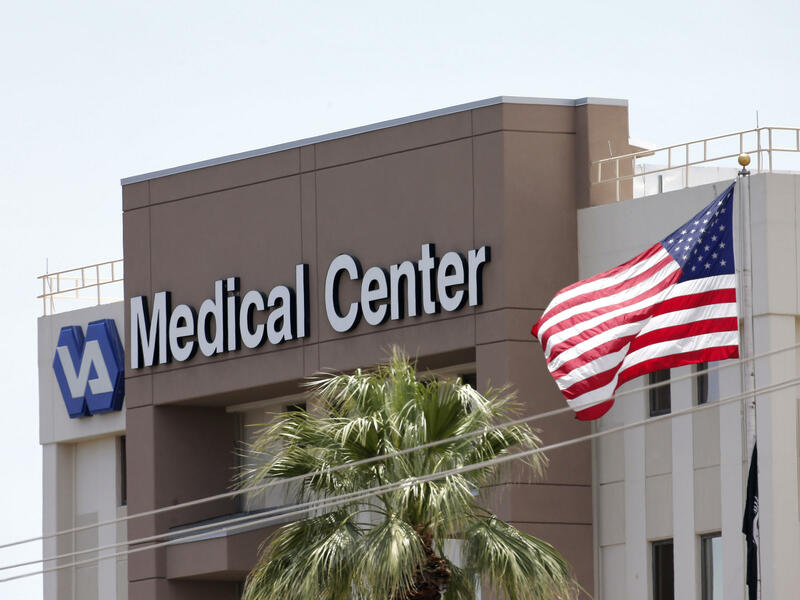 We identified about 1,400 veterans who did not have a primary care appointment but were appropriately included on the Phoenix HCS' EWL (Electronic Wait List)," the report said. "However, we have identified an additional 1,700 veterans who were waiting for a primary care appointment but were not on the EWL." "Our reviews have identified multiple types of scheduling practices that are not in compliance with VHA policy," the report said. "Since the multiple lists we found were something other than the official EWL, these additional lists may be the basis for allegations of creating 'secret' wait lists." But investigators said they were still trying to determine whether any delays in care led to any veterans' deaths. Late Tuesday, the Pentagon announced a 90-day review of the entire military health care system. Earlier this month, a top Veterans Affairs official resigned amid the growing scandal and amid calls for VA Secretary Eric Shinseki to step down. However, Dr. Robert Petzel, undersecretary of health for the VA, had announced last year his plan to retire in 2014. Last week, President Obama said anyone found to have manipulated or falsified Veterans Affairs records "will be held accountable," even as he defended Shinseki. NPR's Greg Allen reports that Florida Gov. Rick Scott says he plans to file a lawsuit against Veterans Affairs to be able to inspect and regulate VA facilities in his state. "Several times over the past month, inspectors with Florida's Agency for Health Care Administration have been denied access to six VA facilities in the state. The state says it wants to ensure the facilities meet the health care needs of Florida Veterans," Greg reports. The VA hospital in Gainesville has reportedly placed three employees on leave after an audit found the names of more than 200 veterans on a handwritten list. The veterans were waiting for appointments and hadn't yet been entered into the electronic scheduling system, Greg says. The news comes as the commander in charge of the U.S. Army's main hospital at Fort Bragg, N.C., has been relieved of command, while three of the facility's top officials have been suspended over problems with patient care. Col. Steven J. Brewster, who was due to leave the active-duty Womack Army Medical Center on June 18, was dismissed Tuesday. "The shake-up comes after two deaths this month of patients in their 20s and problems with infection control at the facility that were pointed out in March by a hospital accreditation group, according to two defense officials. They spoke on condition of anonymity because they were not authorized to discuss the matter publicly." On the heels of allegations that VA clinics across the country manipulated wait times, a state senate hearing will ask veterans whether they've struggled to get a timely doctor’s appointment. Lieutenant Governor candidate and state Sen. Leticia Van de Putte, D-San Antonio, says she’s especially troubled by allegations of misrepresented wait times at clinics in San Antonio and Austin. The chair of the Senate Veteran Affairs Committee, Van de Putte says an independent investigation should take place. "People responsible need to be held accountable," she says. "These scheduling clerks didn’t just decide to falsify reports all over the country at the same time." Across the country and here in Texas, counties have been setting up special courts specifically for veterans in recent years. Those veterans that go through the court have to stick with a series of commitments to avoid jail time. 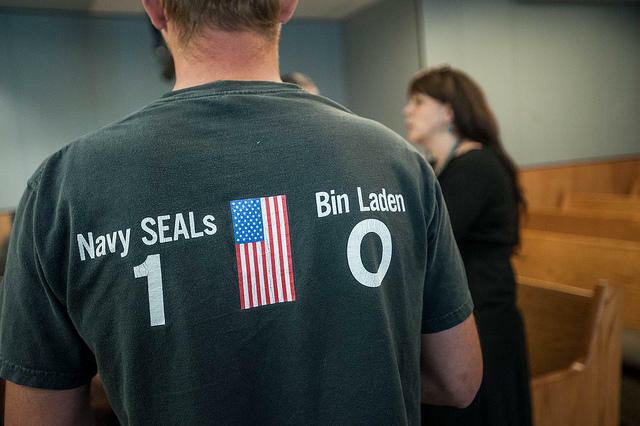 Travis County has had a veterans court since 2010. Two more Central Texas counties will open their own courts in the coming months.